ELIZABETH SHAW, one of the UK’s oldest and most famous confectionery companies, is expanding its range of premium-quality chocolates with the launch of a luxurious new range of products. 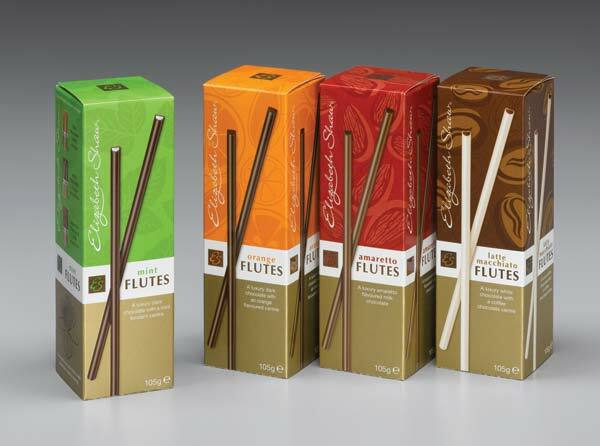 Elizabeth Shaw Flutes have been launched in stylish 105g packs with a recommended retail price of £2.49. The range features elegant, luxury dark chocolate flutes with mouth-watering flavoured fondant centres. The four flavours in the Elizabeth Shaw Flutes range are Mint, Orange, Amaretto and Latte Macchiato white chocolate with a coffee chocolate centre. Established in 1881, Elizabeth Shaw is famous for a range of premium-quality products spearheaded by its brand-leading Mint Crisp chocolates with crunchy honeycomb pieces. This year has already seen the introduction of a special Mint Crisp impulse pack and exciting additions to the Famous Names Christmas range. Elizabeth Shaw offers an extensive range of premium quality chocolates which are the perfect choice as gifts or treats. Special Christmas packaging for Elizabeth Shaw Mint Crisp has been launched for the first time featuring an attractive seasonal bow motif and this will enhance the brand’s appeal for the growing gifting category. In response to consumer requests, the Famous Names Christmas range will feature a Harveys Bristol Cream in a new 165g gift box retailing around £5.99. This complements the ever-popular Famous Names Signature Collection gift packs which include iconic brands such as Cointreau®, Courvoisier VS® cognac, Harveys®, Irish Cream, Drambuie® and Grants® whisky liqueur chocolates and are priced from £2.99 – £11.99. With an RRP of £5.99, the Famous Names Cafe Liqueur Collection will also be available for Christmas 2010 in a 165g gift box featuring 20 finest dark chocolate coffee liqueurs in Irish Cream Latte, Coffee Liqueur Cappuccino, Orange Mocha and Amaretto Espresso. 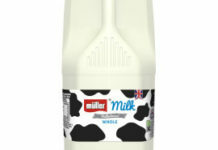 The collection is also available in a 75g presentation box with a recommended retail price of £2.99.